Surprisingly, there is no shared definitive answer despite numerous books written on the subject. The word is mostly parroted by those who have the least idea of its meaning, let alone its history. Its ironic to hear it chidingly used by leaders such as Hugo Chavez who embody it’s meaning perhaps more so than George W Bush, its current poster boy. Even George Orwell stated that fascism has no meaning except in so far as it signifies “something not desirable”. Which is why Jonah Goldberg, the author of the best-seller LIBERAL FASCISM sums up his own definition after an exhaustive research. “Fascism is a religion of the state. It assumes the organic unity of the body politic and longs for a national leader attuned to the will of the people. 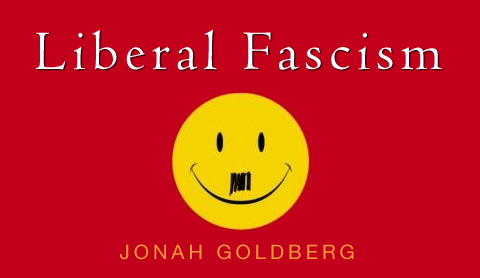 It is totalitarian in that it views everything as political and holds that any action by the state is justified to achieve the common good.” Goldberg goes on to conclude “I will argue that contemporary American liberalism embodies all of these aspects of fascism”. The difference between Mussolini’s exploitation of socialism as opposed to Lenin’s was he believed it to be an “Italian” struggle, not a class struggle. He was seeking to rebuild a modern day Roman Empire, and understood that class-consciousness wasn’t as powerful as the call of the nation to achieve this goal. It’s impossible for anyone under the age of 70 to remember when Mussolini was revered in the US. Members of Franklin Roosevelt’s Brain Trust such as Rexford Tugwell said of Italian Fascism “It’s the cleanest, neatest most efficiently operating piece of social machinery I’ve ever seen. It makes me envious.” Much less do people want to remember the internment camps under FDR where hundreds of thousands of Japanese, German and Italian Americans were forced to relocate during WW II under the guise of the “common good”.